PACIFICA, Calif. (KGO) -- The U.S. Coast Guard recently spotted a cluster of 20 great white sharks swimming together offshore near Pacifica. 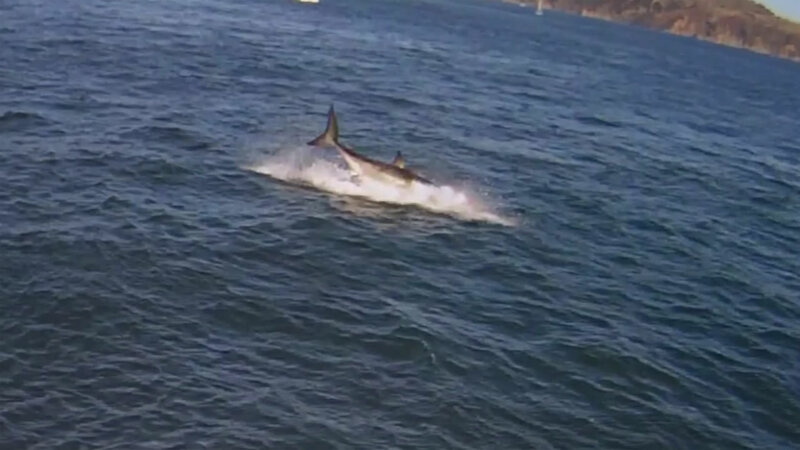 According to the San Francisco Chronicle, the sighting comes after cell phone video earlier this month captured a great white shark eating a seal in the San Francisco Bay, near Alcatraz. 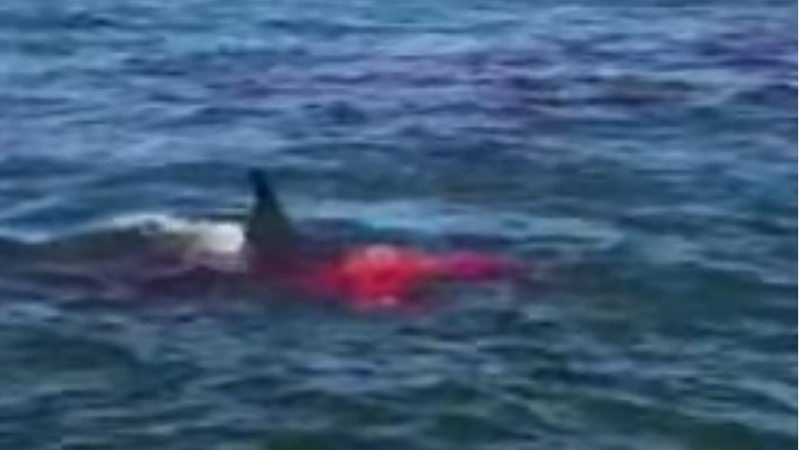 Video of a great white shark eating a sea lion has quickly made the rounds at the Dolphin Swimming Club in San Francisco, where quite a few members are training for a race this weekend. They'll be jumping in at about the spot where this video was shot. The sharks were spotted nine days ago near Pacifica, only about 100 yards off shore. They were between 10 and 18 feet long. Every year at this time, sharks return from the deep ocean to feed at the Farallon Islands, about 27 miles west of San Francisco. The region's sharks can grow up to 21 feet and weigh as much as 7,000 pounds.